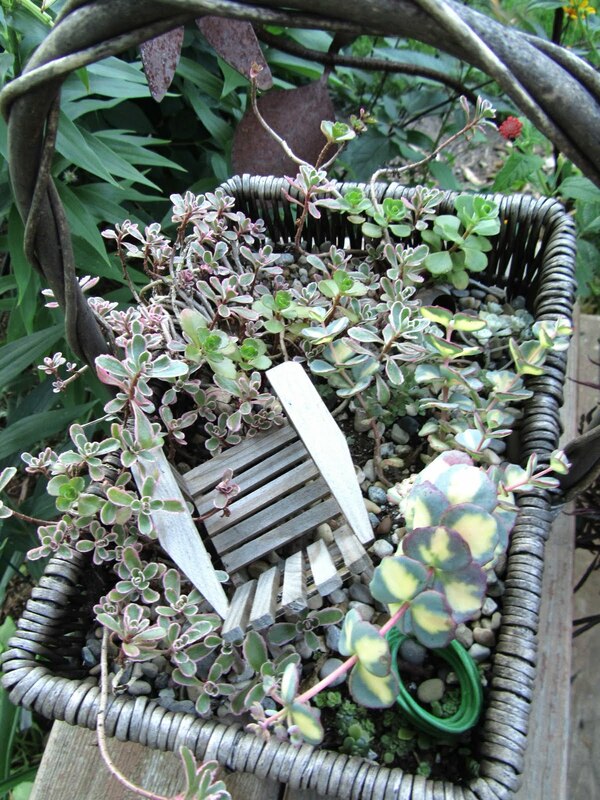 Here are pictures of some of the miniature containers I have in my yard. Since I have pretty much run out of garden space I have turned instead to miniature gardening. It's great for people with little space, and everyone who visits my garden from young to young at heart love them. 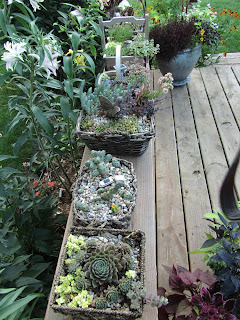 I use hardy succulents in my containers, and they overwintered for me, though they did not look great this spring before they bounced back. I just moved them to a location up against my house and covered with leaves in fall. I have also learned that you can cover them with a styrofoam cooler for fall. Tomorrow I will show how to make these containers. Beautiful containers!!! Did you write that you left these guys outside with leaves on top during winter? If they're by the house, they should be okay. 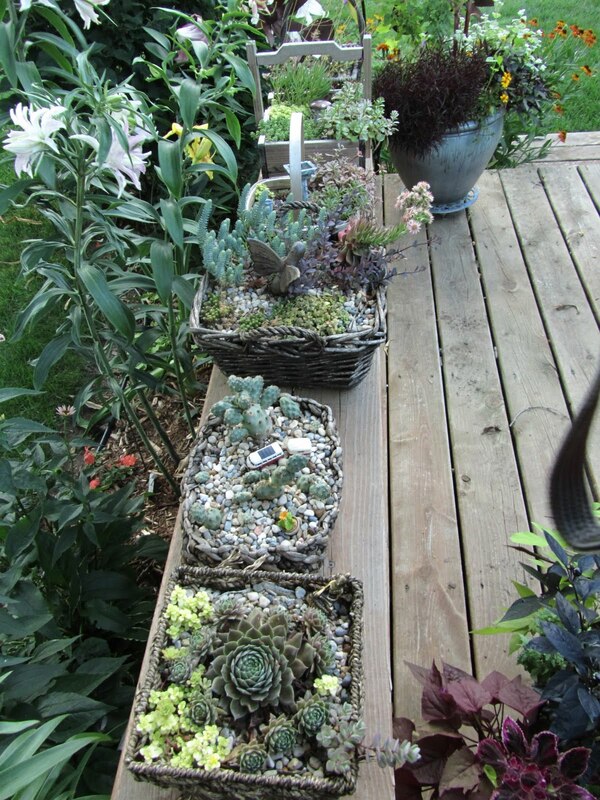 I love succulent arrangements. Look forward to your post. Um. PS. School has started here in AZ. No me gusta:( Why does summer have to end???!!! They are just adorable! All of them.